On Smith Street in Cuba, Missouri, next to Recklein Auditorium and across from the Recklein Library, a large, rock 1934 building sits back from the street with a green lawn in front. It even looks historical and is open to the public for a visit or for more extended tours and programs. 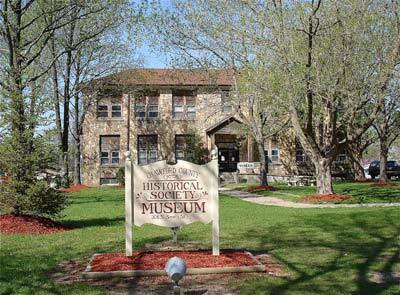 It is the home of the Crawford County Historical Society and has a sign on the front entrance that reads History Museum in case there is any doubt. 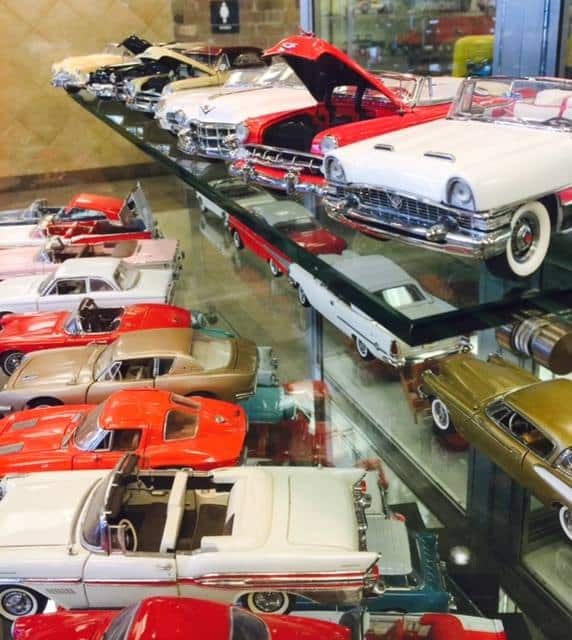 If you haven’t visited or taken your children to the museum, you are missing out on a real treasure. To take this step back in time is an enrichment that shouldn’t be missed. Cuba, Missouri has painted the town, in a big way! The city’s 14 murals have attracted attention far and wide. 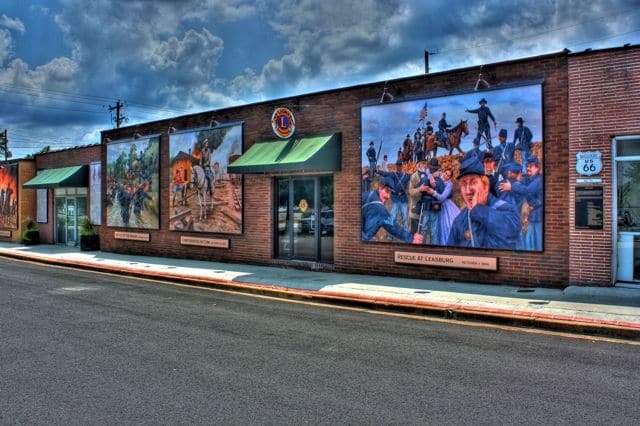 The Missouri legislature has proclaimed Cuba, “Route 66 Mural City.” The murals have been featured on television shows and in magazines and newspapers. 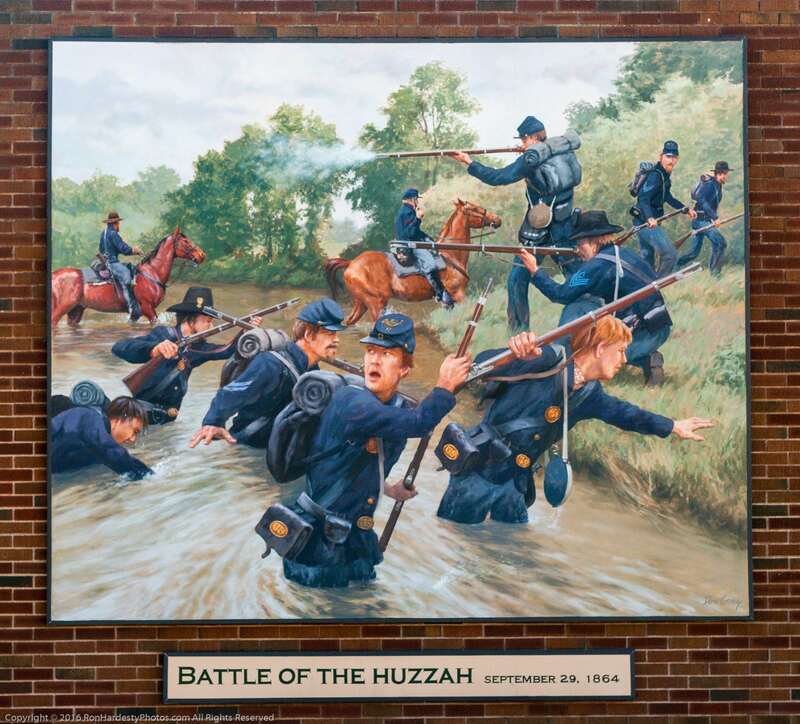 It all started in 2001 when Peoples Bank commemorated its 100th birthday by painting a mural of the bank’s first cashier and long-time president. 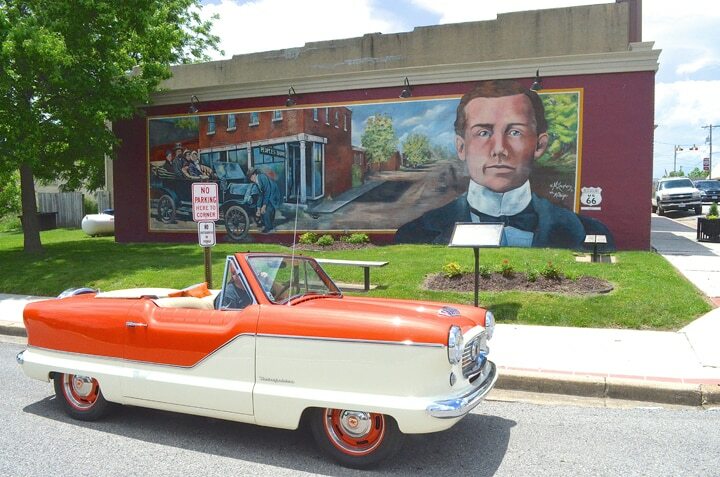 It also depicts the town’s first Model T.
The first mural was so impressive that Viva Cuba, a community beautification group, adopted a public art project to complete 14 murals along Route 66 in Cuba. This multi-year project would involve thousands of man-hours of work and thousands of gallons of paint, and provide opportunities for local and nationally known artists. 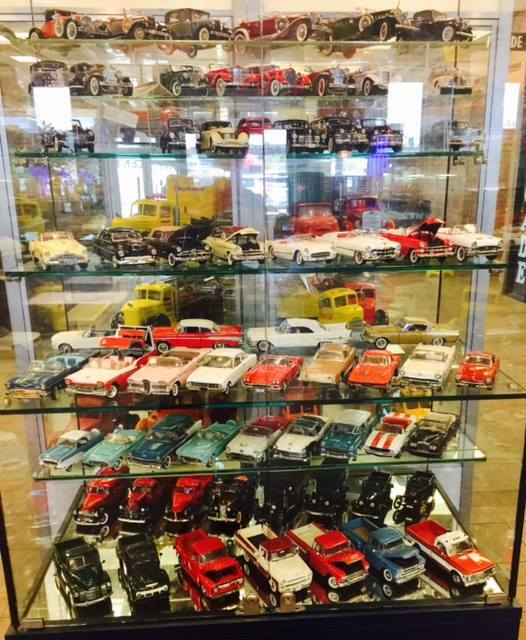 In addition to Missouri artist Ray Harvey’s Transportation Murals, Midwest Travel Plaza (exit 208 in Cuba, MO) now boasts the Antique & Collectable Toys on Wheels collection. 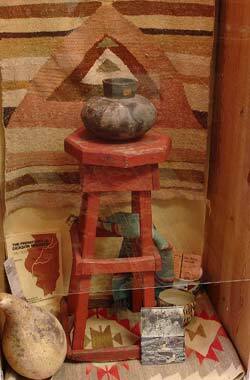 The Travel Plaza was able to secure The Bruce Barnes Collection from the Stanton, MO Toy Museum for the next 5 years. 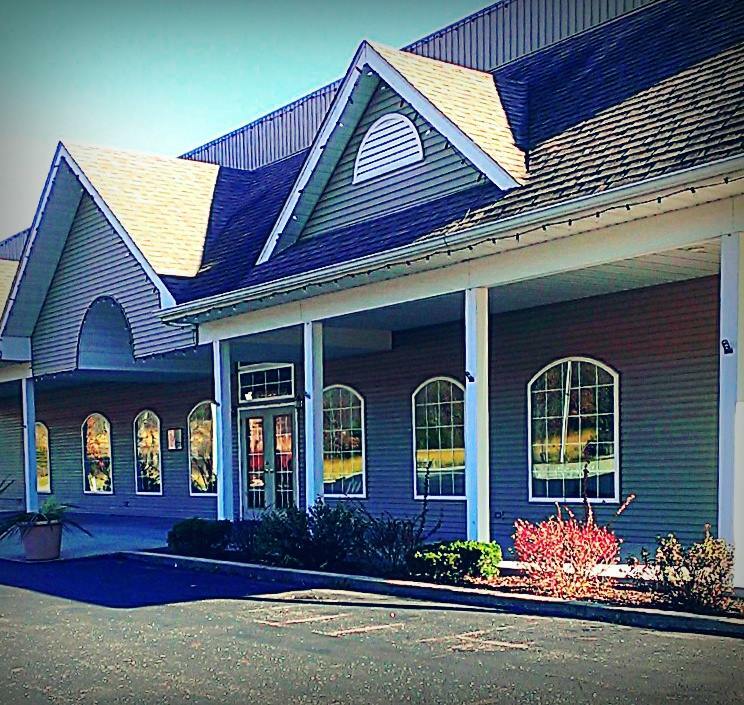 While at Midwest Travel Plaza, you can dine at Dottie’s Restaurant and enjoy some fresh cookies and tasty yogurt. It sounds like an outing! The Meramec Music Theatre is in the rustic Ozark town of Steelville. Offering musical variety shows, featuring country, gospel, bluegrass and oldies music, with a dose of comedy tossed in for good times. 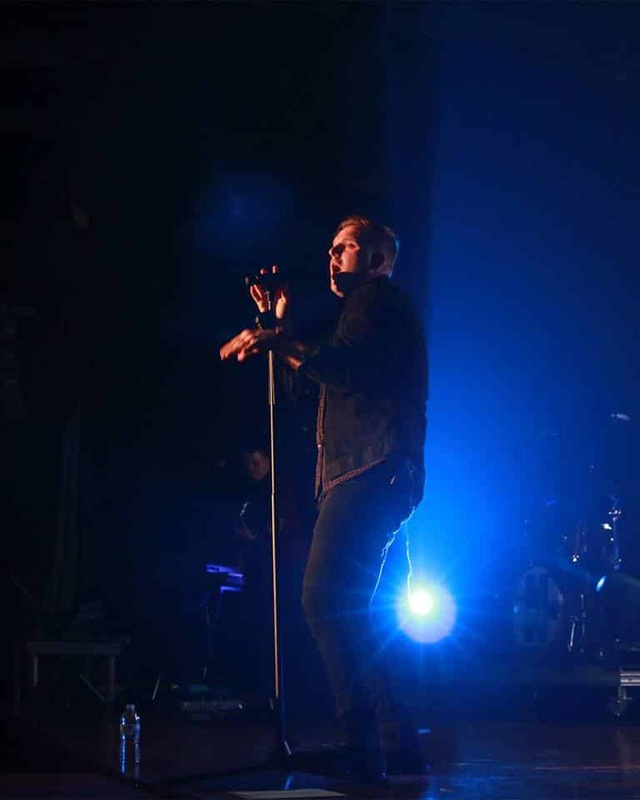 In addition to our regular shows, we present concerts by top name headliners. Great family entertainment, April-December. See our website for schedules. The Meramec Music Theatre was acquired by the Steelville Arts Council in 2013. The theatre is dedicated to bringing the musical and performing arts to Steelville in the 600-seat theatre. Built in 2001, the Meramec Music Theatre has hosted well-known country, bluegrass, gospel and folk acts throughout the years. A Contemporary Art Gallery in Historic Downtown Steelville,Mo. 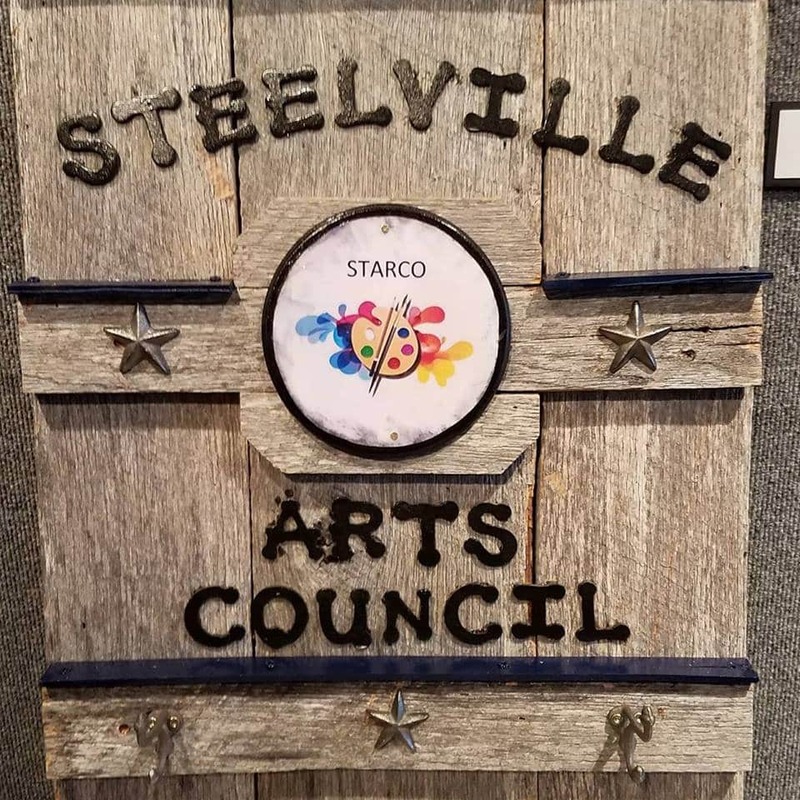 The Steelville Arts Council was formed in July 2010 to promote and celebrate the arts and artists in the Steelville community. 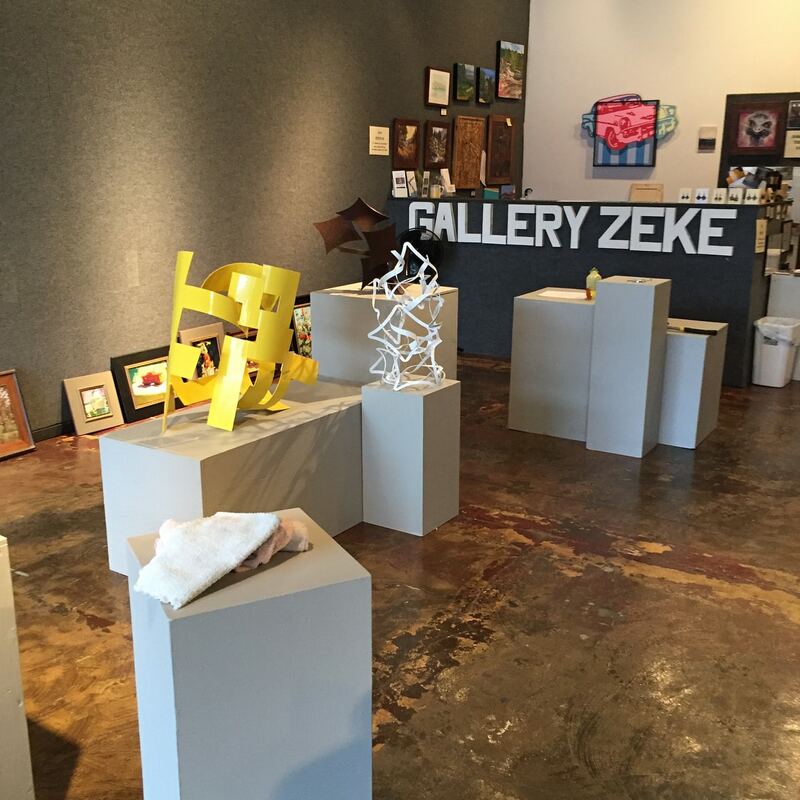 Gallery Zeke was opened in September 2012. Gallery Zeke is a venue for displaying and selling artwork and for art talks, receptions, poetry readings, musical performances, art classes and short films. The gallery provides an educational opportunity for everyone in our community, including high school art students,, and exposes them to many different kinds of art.